How secure is the US voting system? 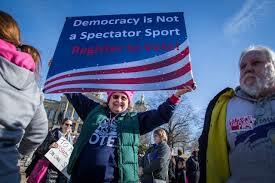 The upcoming midterm elections may be the most important in the history of American Democracy. Yet evidence has shown that there was foreign interference in the 2016 election, with suspected attacks on voter registration systems in twenty-one states. A recent DEF CON hacking conference in Washington DC demonstrated serious risks to our critical voting infrastructure, which affect our national security. Any voting system connected to the internet runs the risk of machines being hacked and data being compromised or altered. With our voting machines running on proprietary software that cannot be checked for bugs or malicious code, and no paper records of votes cast on the machines, there is no way to conduct verifiable audits of elections. Researchers have found that many of our systems are riddled with basic security blunders and poorly written software. Going into the midterms, what measures, if any, are being taken to correct vulnerabilities in our voting system? 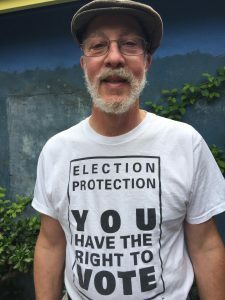 Today on Planet Watch, computer scientist and voting security expert Robert Kibrick discusses what we can do to defend American Democracy and protect every voter’s ballot.